Registration for the 2019 AgOvation program is EXTENDED to April 5. County youth staff should register teams using this online form: https://www.jotform.com/4Hregion1/AgOvation. Youth please contact your local county extension office if you are interested in participating. 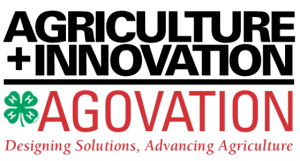 AgOvation is a research-based competition that challenges youth to explore and develop innovative science-based solutions to agricultural problems that they identify in their own communities. Youth in grades 7 through 12 work in teams of two to five members to develop a project and create a presentation to share their results, findings and/or created solution/product. Youth work with a team coach and mentor from the agriculture related field that most closely relates to their project. Youth are also encouraged to connect with representatives from Iowa State University and the agribusiness community, who are eager to meet and work with the next generation of leaders in agriculture and STEM (science, technology, engineering and mathematics). The top three teams are awarded scholarships for post-secondary education. Agriculture and biosciences are critical to finding solutions to key challenges facing the United States, including economic growth, food security, human health and environmental sustainability. AgOvation helps develop our future workforce of agricultural scientists, engineers and technologists. Participants gain important life skills which empower them to become productive citizens, outstanding communicators, effective leaders and successful learners. The topics mirror the Pillars of Agricultural Literacy, which connect agriculture to crucial topics in society. The relationship between agriculture and animals. The relationship between agriculture and lifestyle. The relationship between agriculture and the economy. The relationship between agriculture and food, fiber and energy. The relationship between agriculture and the environment. The relationship between agriculture and technology. January 1-April 5, 2019: all teams register. Summer-Early Fall 2019: regional team events held in NW, NE, SW, SE, completed by September 15, 2019. October 2019: state finals in Ames. We need ISU Extension and Outreach Youth Coordinators and other staff around the state to assist with recruiting participants, adult mentors and supporters. This is a new program. The more counties and teams that get involved, the greater the learning opportunity and program impact.